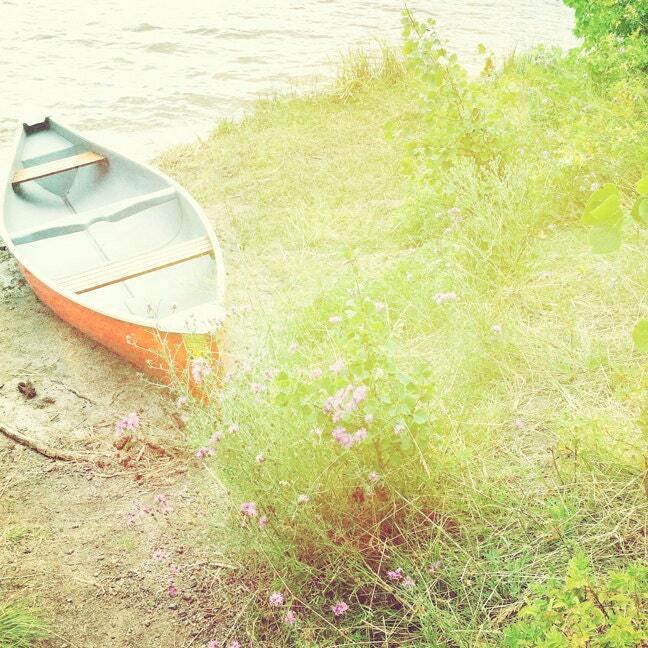 There is something so serene about photos of canoes. They are always be surrounded by trees and water. 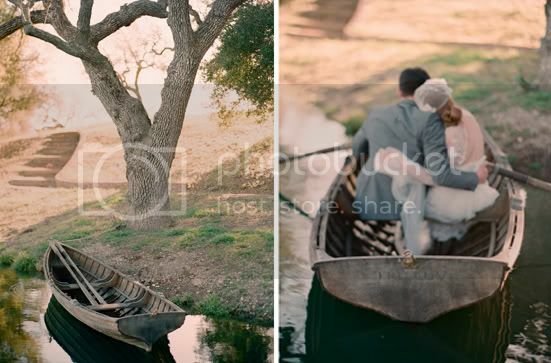 I think if peace could be conveyed through photos, a lot of it would be canoe photos! ;) I don't know how easy it is to actually row a canoe, I think I've done it maybe once or twice and don't remember it being that easy... But they sure make lovely photo subjects! and can't really do a canoe post without posting an image from The Notebook. Yes they are lovely. I especially love that first one..and the last one. What a great movie that is! Oh the first one...stunning! That kind of photo you wish you had taken yourself. Oh I sooo long for the summer. Love this collection! Something about those sweet little boats, isn't there? 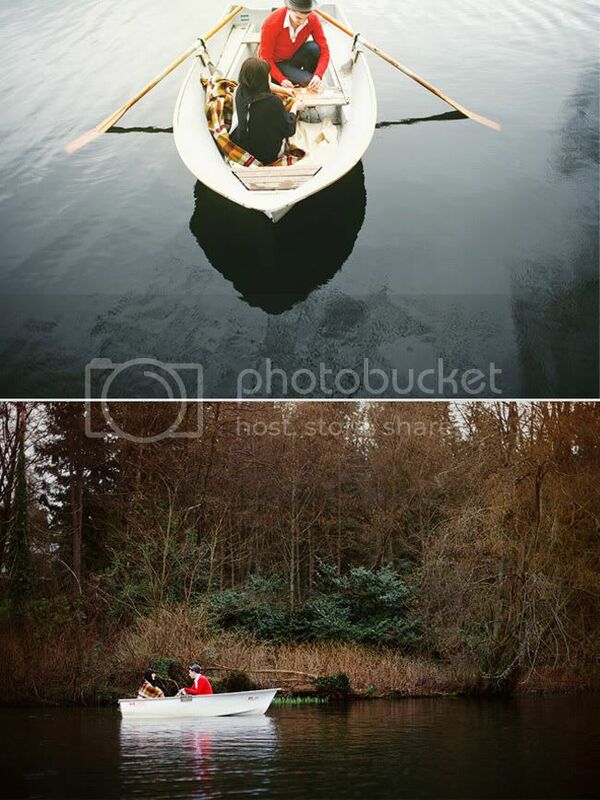 Ryan and I actually did some of our engagement photos on a little boat in the Central Park Boat Pond! It was so, so lovely. I totally get what you mean. Love this pictures. The 7th picture is my favourite. Love the light and setting! I've never thought about it, but you are right that they are so absolutely lovely! This has been my most favorite collection. I love how your mind operates. These are some amazing pictures of canoes (one of our staff has been on a canoe before, and they had a gorgeous and peaceful time). Thank you! canoes are sooo fun and just being on the water is soo serene! Great photos! You provide so much inspiration Danni! I wanted to let you know that I particiapted in your shop swap and posted about my experiences today! Want to check it out? Here's the link.. They totally make me want to ditch daily life and float off in a canoe - with Ryan Gosling wouldnt be bad! ahhhh this makes me so excited for camping and summer time, and swimming and canoeing! I love these photos - they're such action shots! It's amazing how much personality is captured.